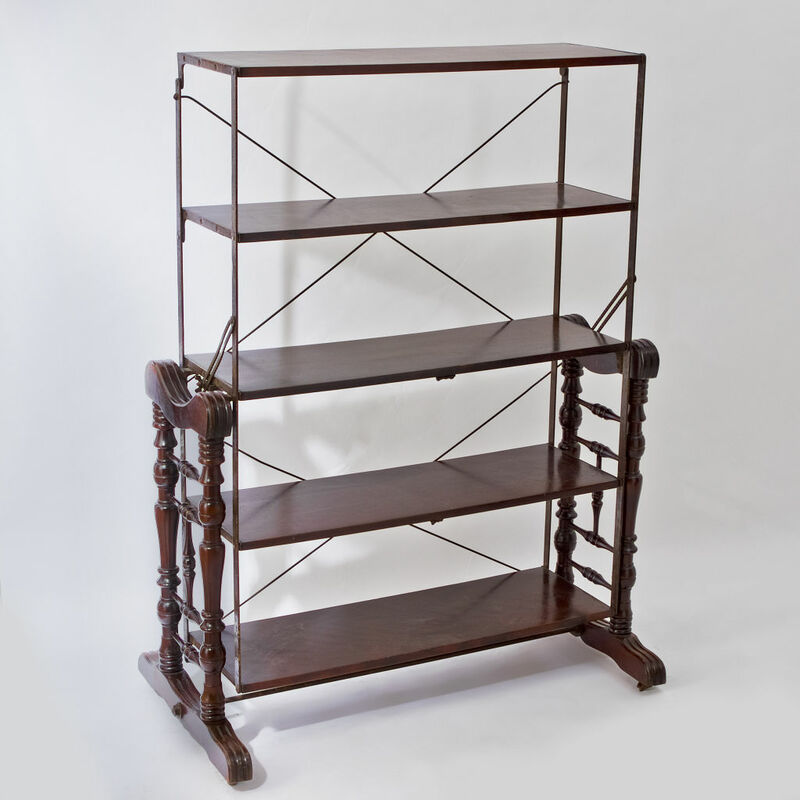 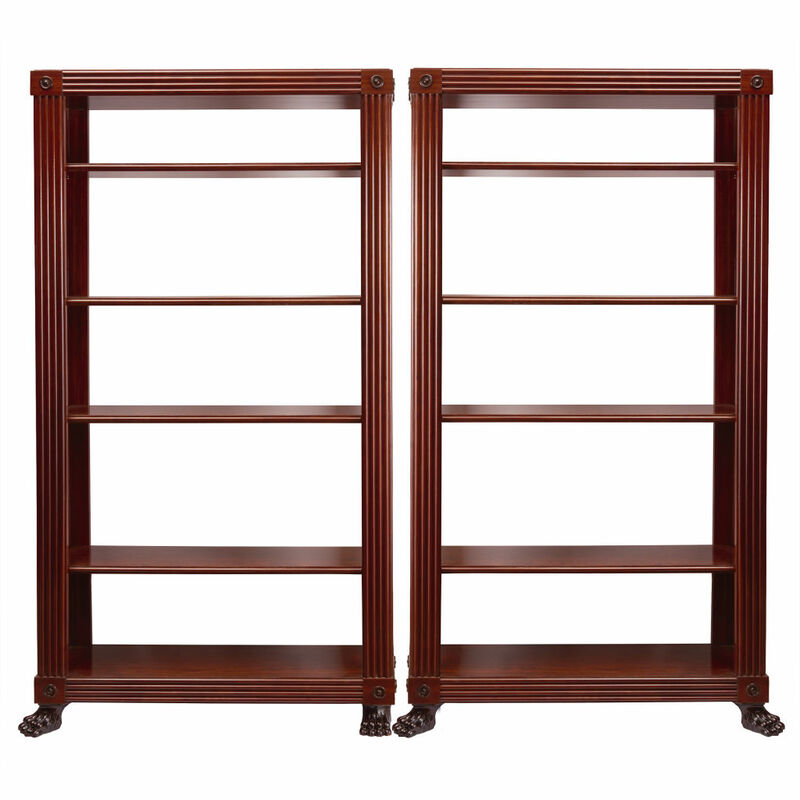 Pair of carved Regency style neoclassical mahogany, circa 1950 shelves in the manner of George Smith. 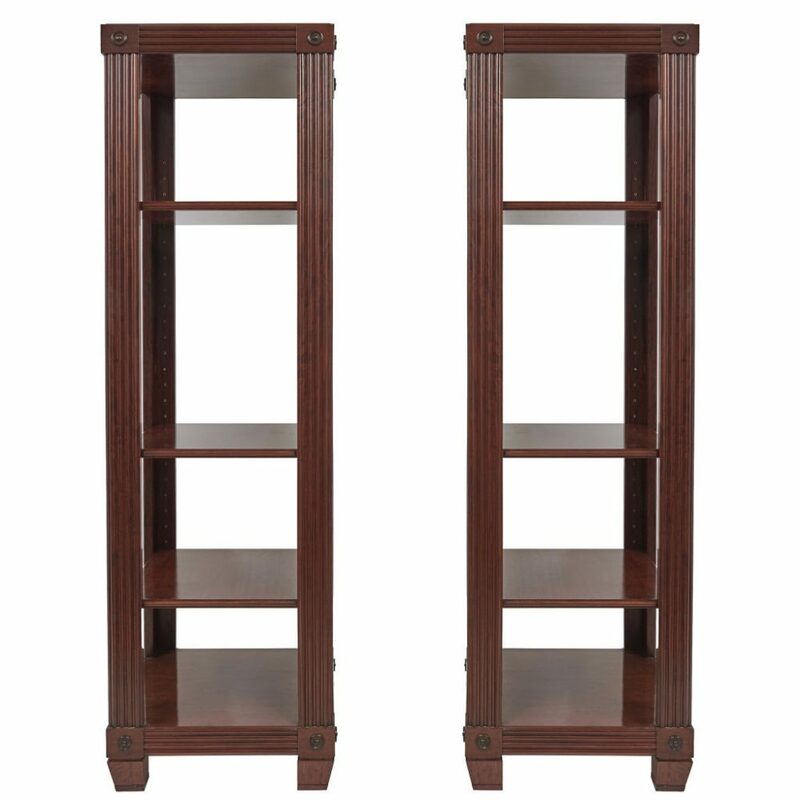 Tall and narrow, with four adjustable shelves. 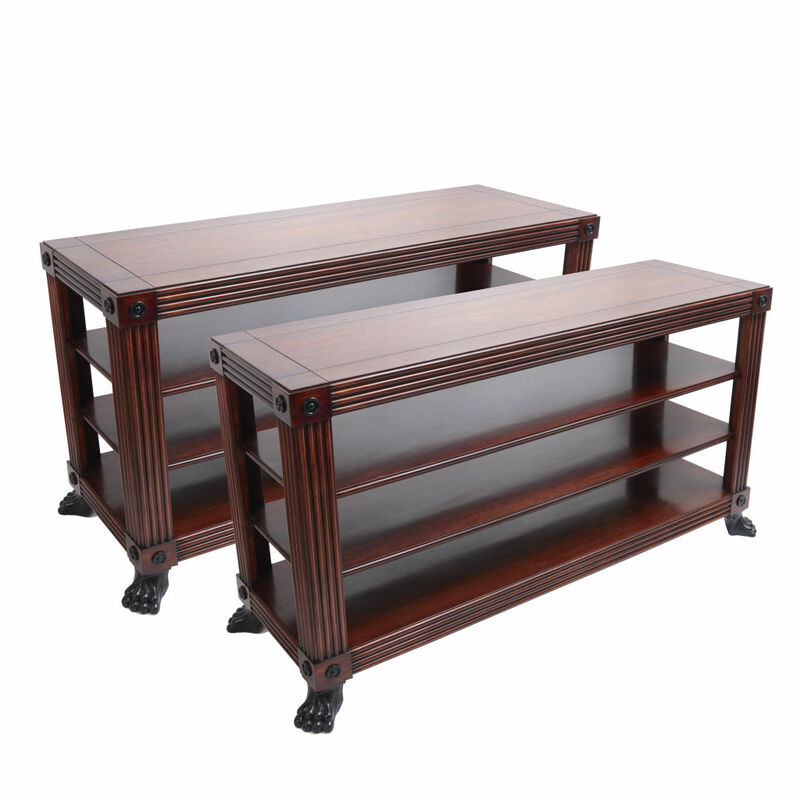 The external fluted mahogany frame with simple corner details, and tapering square feet.